It bears repeating: one of the biggest reasons over 95% of website visits do not result in a conversion is a lack of trust. The World Wide Web is famous for “leveling the playing field”, allowing mom & pop shops to compete right alongside established brands. And because there are so many options so readily available to a shopper, trust becomes a huge differentiator. If you are on a site that you don’t feel entirely comfortable with, there are a dozen more sites offering similar products you can explore instead. So how do you build that trust with your visitors such that they will stay on your site, explore what you have to offer, and hopefully end up converting? I think one of the most effective strategies is to utilize Social Proof to the fullest. Strategies like building brand value, utilizing trust seals, and PR campaigns can be successful but also are very expensive. 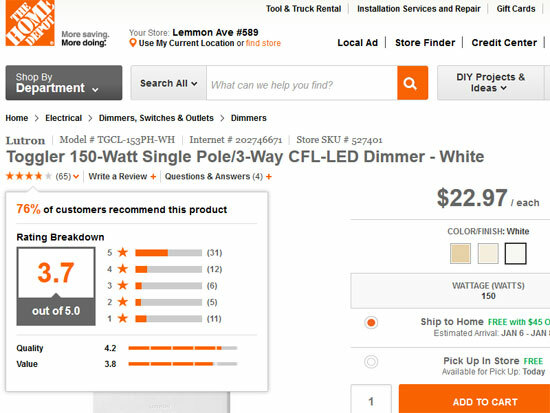 Displaying Social Proof can have a bigger effect on your site’s visitors at a fraction of the cost. What Is Social Proof and Why Is It So Effective? Social Proof refers displaying what other people are saying about you through things like product reviews, testimonials, and on social networks. So instead of telling people how trustworthy and reliable you are, you get much more credibility because other people are saying they trust you. This rings true with visitors to your site. Think of it as the difference between advertising and positive publicity. Social Proof differs from PR in that it comes from common, everyday people, not news centers. If the Wall Street Journal gives a positive review of your service, that’s good publicity. If John Smith, president of one of your customers or vendors raises his hand supporting you on Twitter, that’s Social Proof. So let’s talk about some strategies you can begin to implement right away to incorporate Social Proof into your website. If your site is an online store and you do not have customer ratings & reviews incorporated on it, you’re missing out on a big opportunity. For existing customers who know and trust you, product reviews offer a great service to help them choose the best product for them on your site. But for new visitors to your site, the ability to read what past customers have thought about your products goes miles toward building trust. Reviews on this camera store’s site are from verified buyers. You can click on them to see what other reviews they have left, and even learn a little more about them. 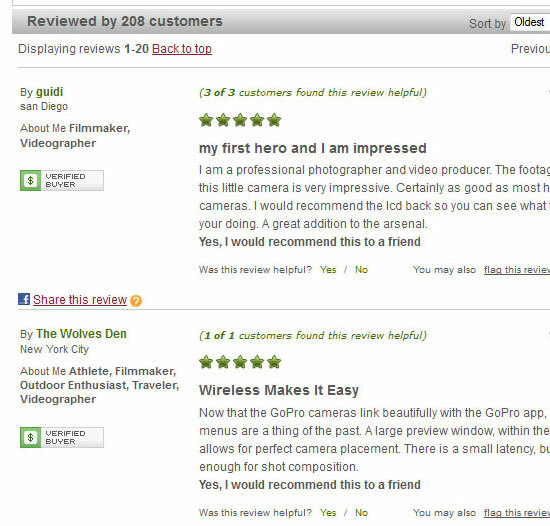 The example above shows camera reviews on a New York-based photo store’s website. Note that not only are there helpful reviews, but there are several characteristics to demonstrate that the reviews were left by real people. There is a “Verified Buyer” icon to show which reviews were left by people certainly purchased the product. The reviewer’s location and username are displayed to add further authenticity. What I like most is the “About Me” section. This can help you determine which reviews might be more relevant, but more importantly, go further toward showing that these are indeed real people reviewing the product. Too often when I’m working with a small business to incorporate product reviews onto their site, they worry about “that nut who writes a terrible review.” (Why are all dissatisfied customers “nuts”?) They worry that the bad review(s) will drive away customers. If anything, it’s the opposite. If you have a site where every review of every product is five out of five stars, your visitors will start to wonder. They will think that either you have had all reviews written yourself, or that you screen out the poor ones. But if they see poor reviews sprinkled in with the great ones, they’ll feel more assured that you’re legit. Besides, negative reviews can actually offer a vehicle to demonstrate your commitment to customer service. If someone leaves a negative review, instead of deleting it, respond to it publicly with an offer to make things right. This will show new prospects that not only are the reviews left legitimate, but also that you care about all of your customers and making them satisfied. Negative reviews can actually be a positive in terms of building trust on your site. Both positive and negative reviews validate the authenticity of all reviews shown on a site. Social Proof isn’t limited to things originating with you or your website. People and customers are interacting with you and talking about you on the various social networks as well. Take advantage of that! You see this all the time in the simple form of little social network icons that show how many times an item, or an article or a page, etc., has been liked or recommended on Facebook, tweeted on Twitter, pinned on Pinterest, and so on. This is a great way to start leveraging the power of social networking. But it doesn’t stop there. 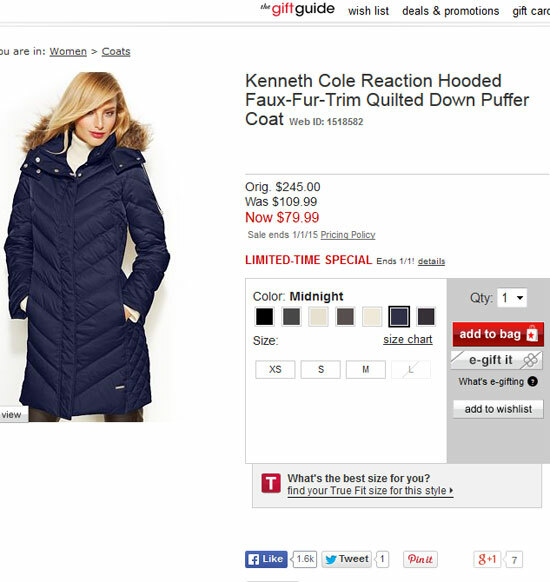 Macys uses social widgets to show things like the fact that 1600 people have Liked this coat on Facebook. 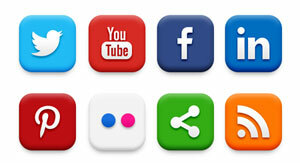 Many of the top social networks these days offer widgets you can incorporate into your website to generate content. For example, it’s very simple to incorporate a Twitter feed of people mentioning your brand, you products, or your website. 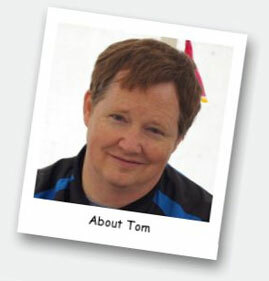 Giving new visitors a verifiable glimpse into what the rest of the world is saying about you can build trust quickly. Another social widget that builds trust is the Facebook “Face Pile”. We’ve all seen these—a block of pictures of Facebook users who have liked or recommended the page you’re on. The key here is that these typically are not just random Facebook users. Assuming you are logged onto your own Facebook account, the Face Pile will show people who are your friends or friends of friends where possible. So now it’s not just ten random people your visitor is seeing who have recommended your site, but it’s possibly ten people that visitor knows. That gives you a major trust boost. 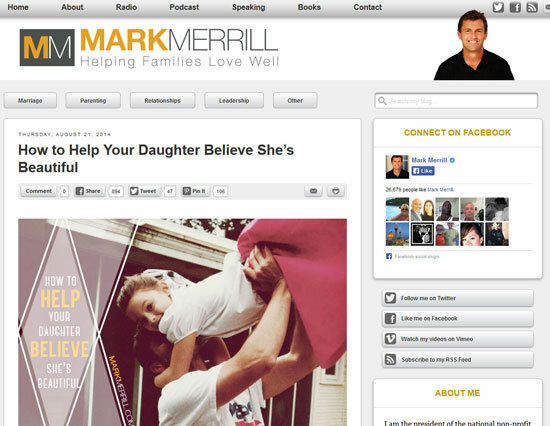 On sites like Mark Merrill’s blog, the use of Facebook’s “Facepile” build trust by showing Facebook users the visitor might know who have recommended the blog. Testimonials are nothing new, but how they are being displayed on websites is changing, and for the better. The days of having a testimonials page filled with short snippets of praise from names like “Eric J., Columbus” are past us. This does very little for helping build trust on your site. Who the heck is Eric J.? How do we know he is real? This CPA’s site has lines and lines of testimonials from vague people with no last names (and sometimes not even first names). The more information you show about your supporter, the more easily they can be verified. What kind of testimonial seems more “real” to you: Eric J. from Columbus, or Erich Jansen, Director of Marketing Communications, at Nationwide Insurance? Electronic signature company Right Signature shows complete information about the people leaving testimonials, including Name, company, title, location, and picture. Also, don’t bury your testimonials on their own page. That’s making users go look for them. Sprinkle them throughout your site. Having testimonials on pages like your Home page, Services pages, About Us pages, etc., gets them in front of people with little effort on their part. Lots of times, people don’t realize they have trust questions—they just do. So getting your real and appealing testimonials in front of them helps calm their nerves before they realize they’re nervous. Twitter is another fabulous way to display testimonials. If someone has tweeted positively about you, it’s very simple to incorporate that specific tweet onto your page. That way you get your photo of the person vouching for you, and it’s immediately verifiable. Anyone can click on the tweet right there from your home page and be taken to that person’s Twitter page. Now they know that was a real person and they know that the comment is authentic. 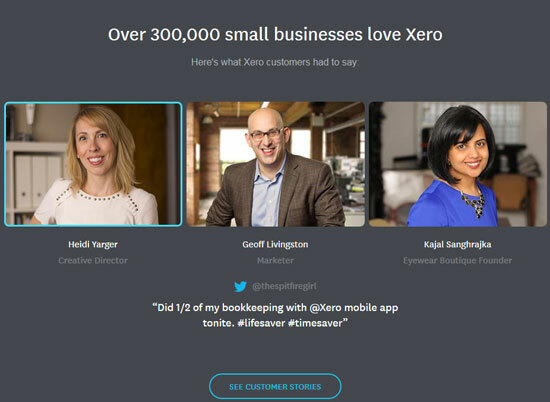 Accounting software provider Xero uses Twitter-based testimonials which can be clicked on to go to the person’s actual Twitter feed to see where and when they wrote their praises. Building a reputation takes time. And so does incorporating Social Proof into your site to illustrate that reputation. So get started now. If your business doesn’t have much of a social presence, start building one on the platforms most relevant to your customers. Start engaging on Twitter. Give “social love” to your customers and colleagues, and they will reciprocate. Every day you have potential customers coming to your site, hoping you are what they have been looking for. But they come to you with skepticism. Start leveraging that Social Proof to keep them from looking elsewhere. This entry was posted in Conversion, Usability. Bookmark the permalink. How To Speed Up Your Site by Reducing Download Size of Your Largest Images Without Sacrificing Quality!